Before an electrical component burns up, it heats up. 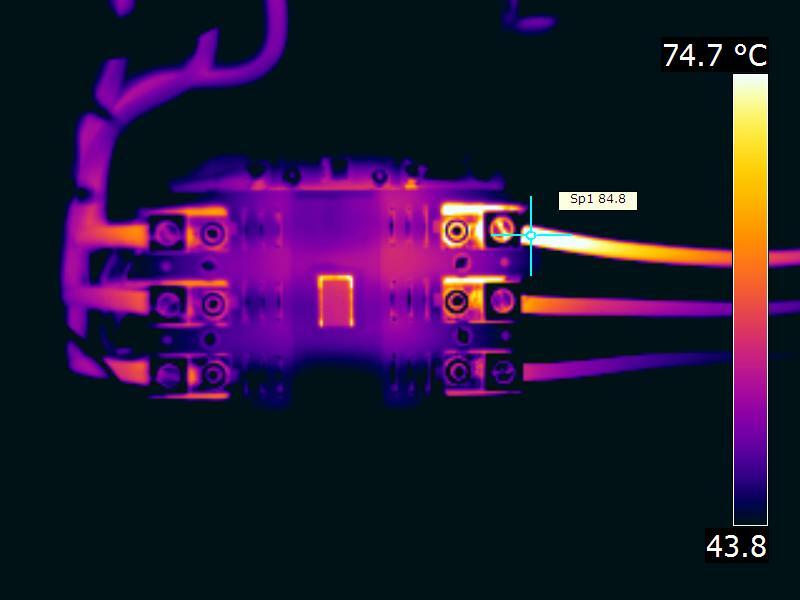 Infrared thermography is used to perform Pd/Pm inspections on electrical equipment because excess heat is usually the first sign of trouble on low or medium voltage electrical (or mechanical) apparatus. Loose connections, imbalanced circuits, defective breakers, damaged switchgear, faulty fuses or fuse clips, overloaded circuits, material defects and a range of other conditions will eventually lead to excess heat and component failure. In electrical applications, airborne ultrasound can detect corona which exists above 1 kV and does not generate any heat. Infrared, therefore, can not find the existence of corona which if left unattended will further develop into tracking and arcing situations. Ultrasound analysis provides a more comprehensive electrical inspection when used with infrared to identify corona, tracking, arcing, and resistance problems in any electrical equipment.